I'll write what I wrote at the youtube website: Wow! A new Sam/Jack video! Wonderful! I really like the song and the scenes are perfect for it. Thank you so much for composing and posting this video! 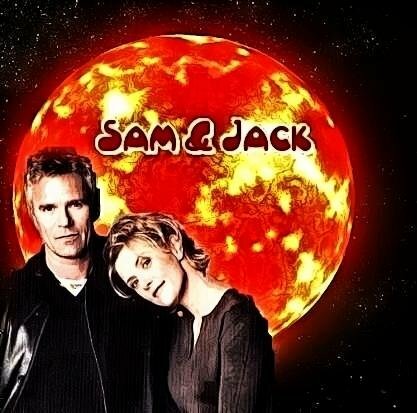 Sam and Jack forever! I just found another new Sam/Jack video from you....https://www.youtube.com/watch?v=rw3UD13 ... .brilliant as always! Love it. The song is so perfect....so are the scenes. thanks for putting this one together too. Nice to see your Sam/Jack post, JK! Very nice. My new video of Jack and Sam's Relationship https://youtu.be/XoqSv_x30IQ Enjoy! Beata, Wonderful ! I enjoyed... I like, of course most of the scenes, but first of all, I like when O'Neill looks left, right, left and kisses Sam. I just found so funny !!! Beautiful work ! Thanks so much Karine ! Just saw your video and must say it was so lovely to watch. Music really suits it too. OH, Beata! What a terrific video! LOVE the scenes you chose and the music is excellent, goes with the scenes so well. It's so nice to see a new Sam/Jack video! Thank you, thank you, thank you!